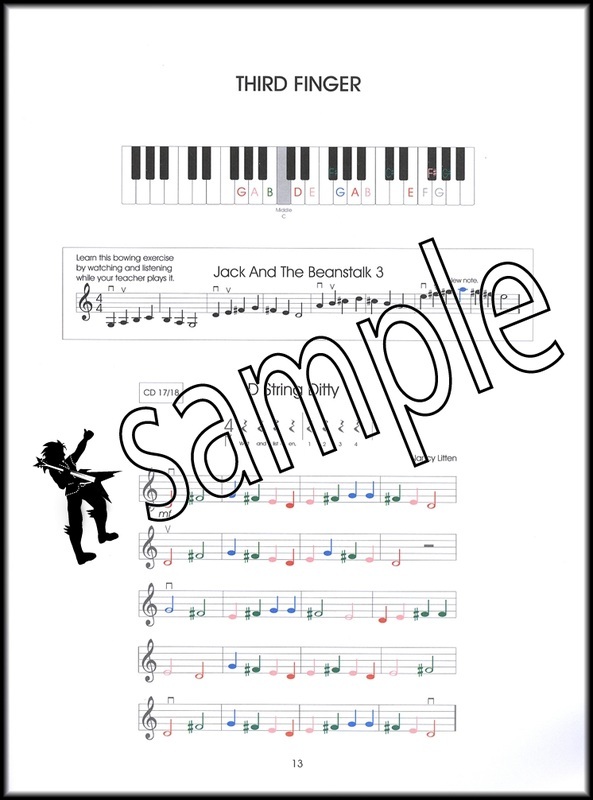 The Playing With Colour teacher book serves all three student books and includes attractive but easy to-play piano accompaniments with an optional violin accompaniment for the teacher. Playing With Colour simplifies and accelerates learning. Each finger has its own colour! 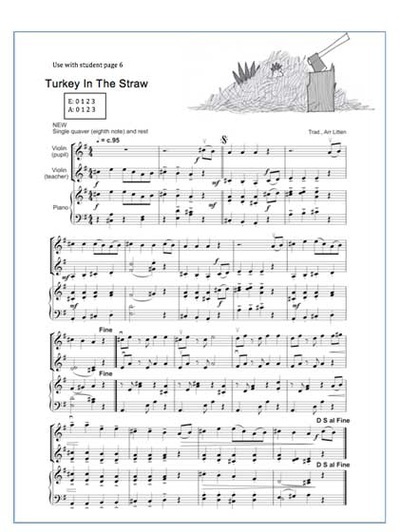 By using coloured notation, note-reading becomes simple and effortless. Because sight-reading is so much easier, practising at home is less taxing, and longer practice sessions result. The colours encourage children to follow the music carefully, the rules of notation becoming absorbed and understood in a very natural way. Illustrations: Amusing drawings illustrate the books, and verses are often included to help underline the rhythms of the music. Accompaniments: The Teacher’s Edition provides a choice of piano or violin accompaniment for each piece. 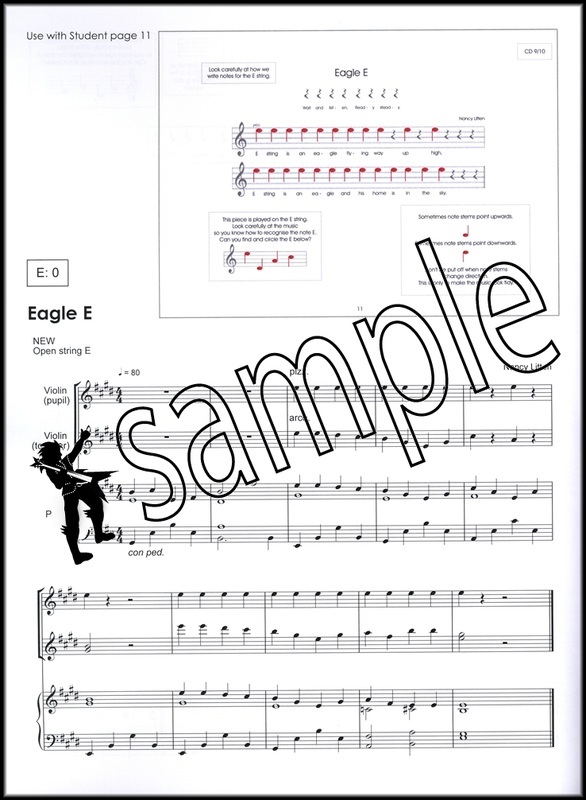 The Pupil’s Edition is provided with a CD of accompaniments, each piece in two formats: violin and piano, and piano only. Letter-named staves: In Playing With Colour Book 1 note-reading is greatly simplified. The stave is extra large and the stave lines are created by using their relevant letter name. 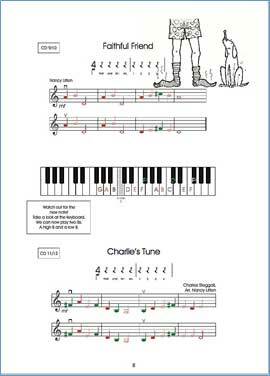 Rhythm: In Book 1 children are encouraged to develop a ‘feel’ for pulse and rhythm by reciting ‘walk’ and ‘hold’ to represent the basic note values. 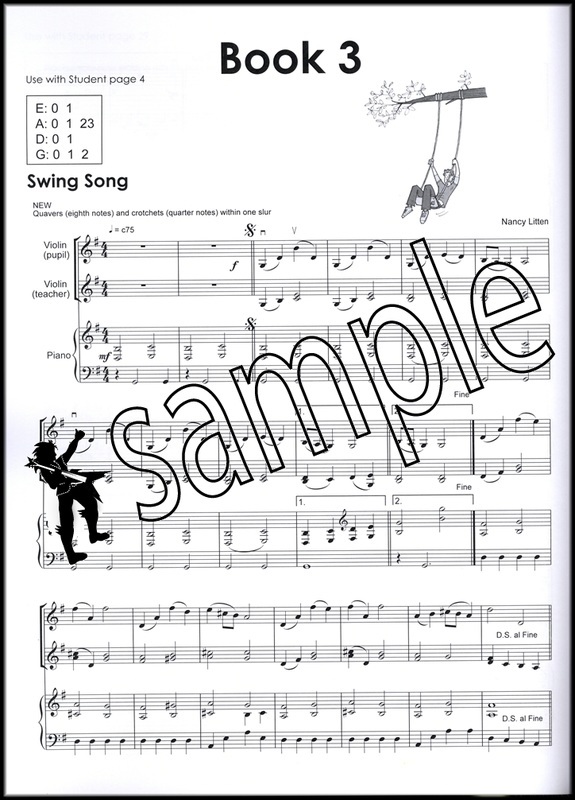 Theory exercises: On most pages the child is required to answer a few simple questions. 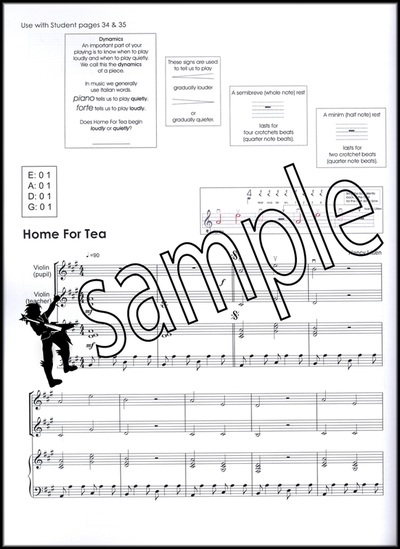 These are designed to prompt the teacher to explain any new features of the music. The wording is as brief as possible so that valuable lesson time is not wasted. But it is also comprehensive enough to identify any weaknesses or gaps in understanding. Technical Progress: There is a gentle and thorough progression through the books. Diagrams in Book 1 help the pupil to learn parts of the instrument and to develop the correct bow hold. 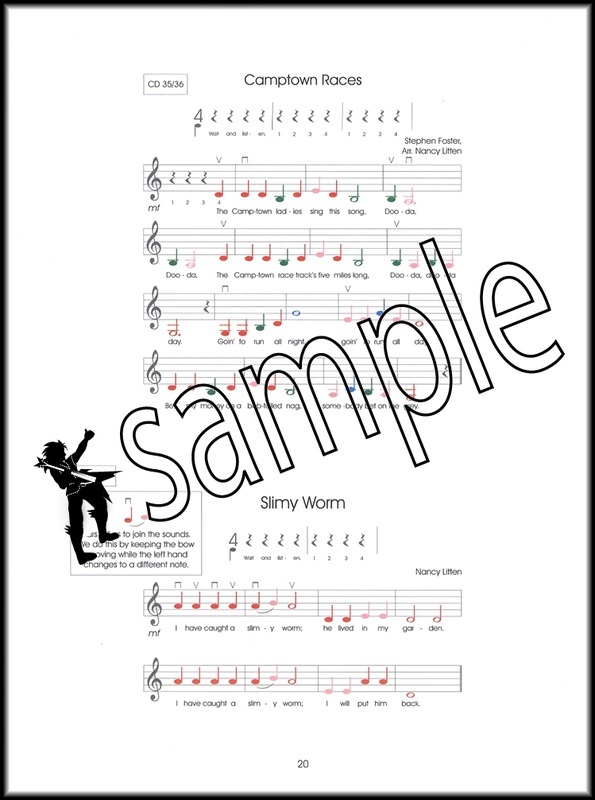 The teacher’s book indicates when any new note or note-value is introduced, and each piece has a boxed list of the strings and fingers used. Sight reading and the move to conventional notation: This is tackled alongside the theory exercises in a progressive way. Short sight-reading exercises in black notes are included from the beginning of book 2 and gradually pieces without coloured notation are introduced. By the end of Book 2 students are playing and sight-reading up to grade 1 standard in conventional notation.